Saudi Arabian Mining Company (Ma’aden) has awarded a SR3.4-billion ($892 million) contract to South Korea’s construction giant Daelim Industrial Company to build the first plant in the company’s third large-scale phosphate complex (Phosphate 3) in the kingdom. 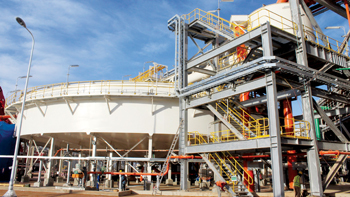 This is the first of the Phosphate 3 plants to begin construction. The entire project is expected to cost SR24 billion ($6.4 billion), said the statement from Ma’aden. As per the deal, Daelim Industrial Company and Saudi Daelim Limited will jointly carry out the engineering, procurement and construction (EPC) services for the development of the 1.1-million tonne per annum ammonia plant in Ras Al Khair area on the Eastern coast of Saudi Arabia, said a statement from Saudi Ma’aden. This will make Saudi Arabia the world’s third largest producer of phosphate fertilizer and the second largest exporter, he added.